There's really no arguing with this. 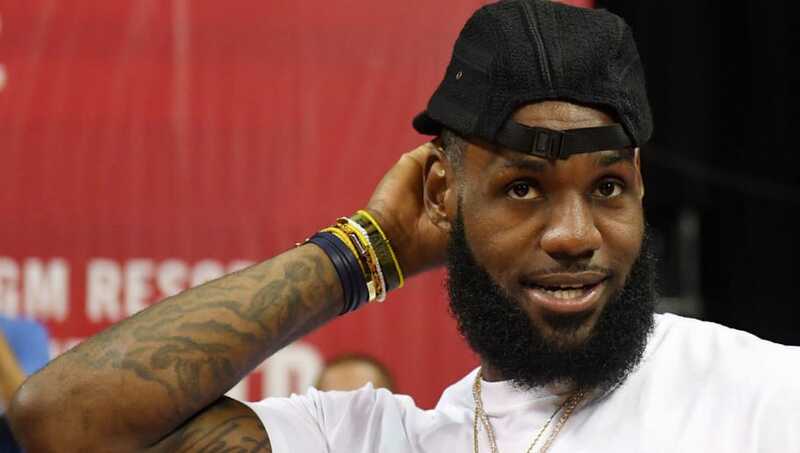 ​Jeanie Buss, owner and president of the Los Angeles Lakers,​ made a comment yesterday about the defacing of the ​LeBron James murals all across L.A., saying those who are vandalizing are not real Lakers fans. This is true. They're not, but at the same time, the city must be held accountable. "If you're doing that, than you're not a Laker fan. I didn't realize how many people from Boston are living in LA!" ​​This made me think, all I've heard from Lakers fans since James decided to leave the Cleveland Cavaliers for the second time was complaining. "LeBron hasn't earned the right to wear the purple and gold yet!" "LeBron will never be Kobe!" "LeBron can't bring us to the NBA Finals himself!" All of these Lakers fans don't deserve the King on their team. I understand not all Lakers fans feel this way toward LeBron, but for there to be enough LeBron-hating Lakers fans to make it known to the public that they exist means there's a real problem. When LeBron went to Miami, did you see any Heat fans whining? No. When LeBron came back to Cleveland did you see any Cavaliers fans complaining? No. If Lakers fans can't accept LeBron James on their team, then that's on them. James is going to bring success to the Lakers for the first time since 2010. That alone should be sufficient for these "fans". Lakers fans need to comprehend LeBron is trying to do one thing, and one thing only while on the Lakers: Win championships. I imagine Lakers fans want that too, so maybe they should try to actually be nice to the guy. With what LeBron James is bringing to LA, the least Lakers fans can do is stop disrespecting him.